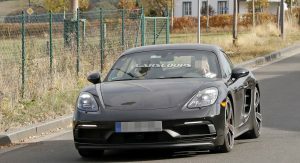 A curious Porsche 718 Cayman prototype has been snapped during testing and according to some, it may be an early tester for a Cayman GT4 Touring. First, an explainer. 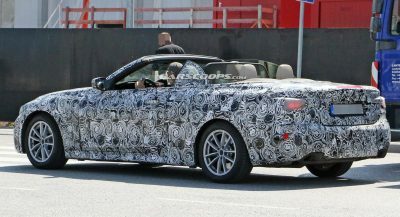 If you’re an avid reader of Carscoops, you may recognize these spy shots. 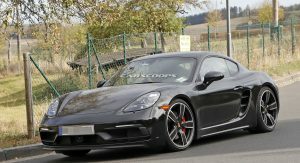 That’s because we first published them in October 2018 when it was speculated that they depicted a prototype of the new 718 Cayman T.
The Cayman and Boxster T models premiered back in December but were mysteriously missing some of the features of this prototype. 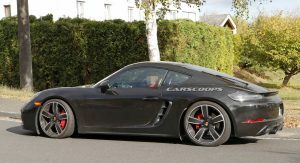 This could be because the prototype isn’t a Cayman T at all but instead a previously unseen version. 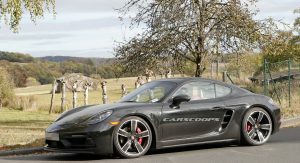 The most striking thing about the Cayman prototype in the gallery below is that it has the same exhaust layout as the incoming Cayman GT4 which is allegedly bound for the Goodwood Festival of Speed in July. 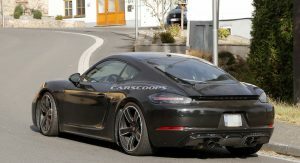 As the exhausts are the same, there’s a chance that the engine may be the same. 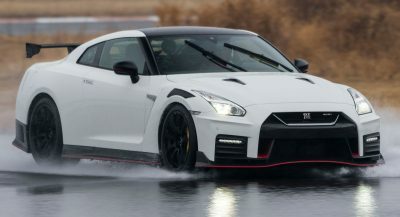 If that’s the case, the prototype we’re looking at is outfitted with a naturally-aspirated 3.8-liter flat-six engine pumping out approximately 420 hp. 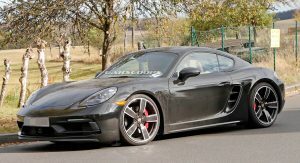 The ‘regular’ Cayman GT4 has been spied with aggressive bodywork and a large wing and there’s a chance Porsche is developing this new 718 as a slightly softer version of the GT4 dubbed the ‘Touring’. 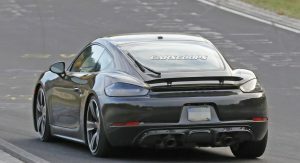 Porsche decided to go down this route not too long ago with the launch of the Porsche 911 GT3 Touring. 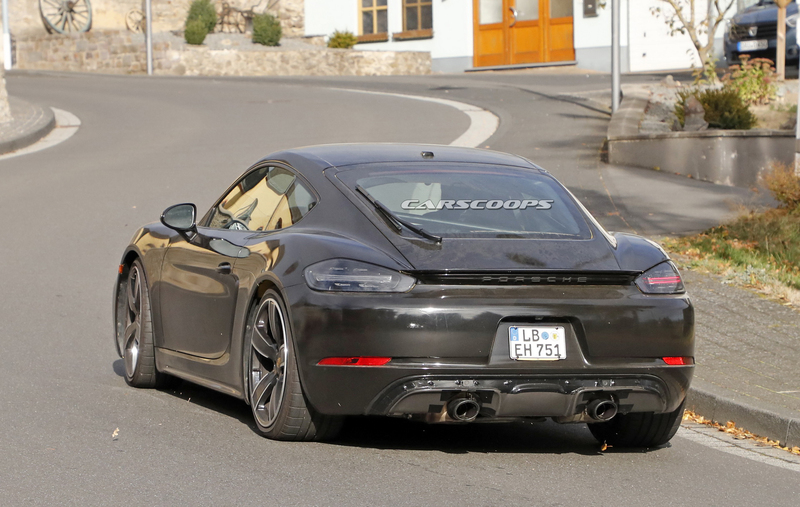 This model features largely identical mechanical parts to the normal GT3 but has a more restrained appearance. 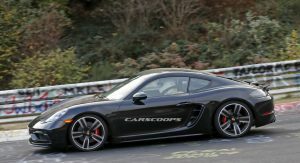 If Porsche is doing the same with the Cayman GT4, it will want to replicate the sales success of the GT3 Touring. 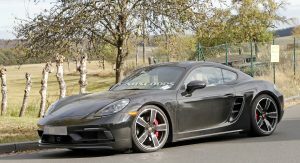 One other theory about this Porsche 718 Cayman test car is that it could be a future six-cylinder version designed to slot between the GTS and GT4. 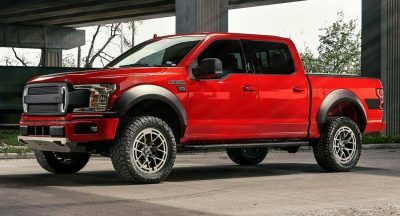 A Spyder variant would likely be sold as well. 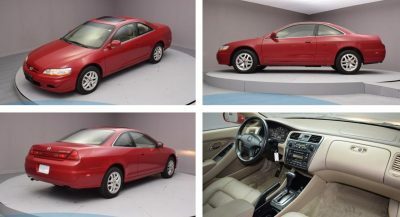 You are wrong… brakes tell the story. 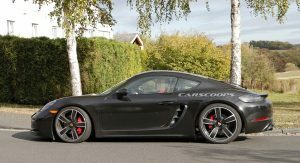 They are the “S” size… all GT4 and Spyder shots have quite a bit bigger brakes. 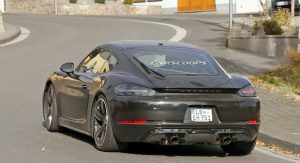 This is more than likely a 982.2 (facelift) for the “S” and GTS. 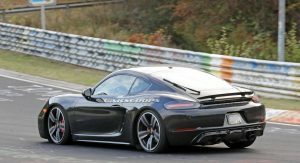 The gap between the GTS and GT4 isn’t big enough.